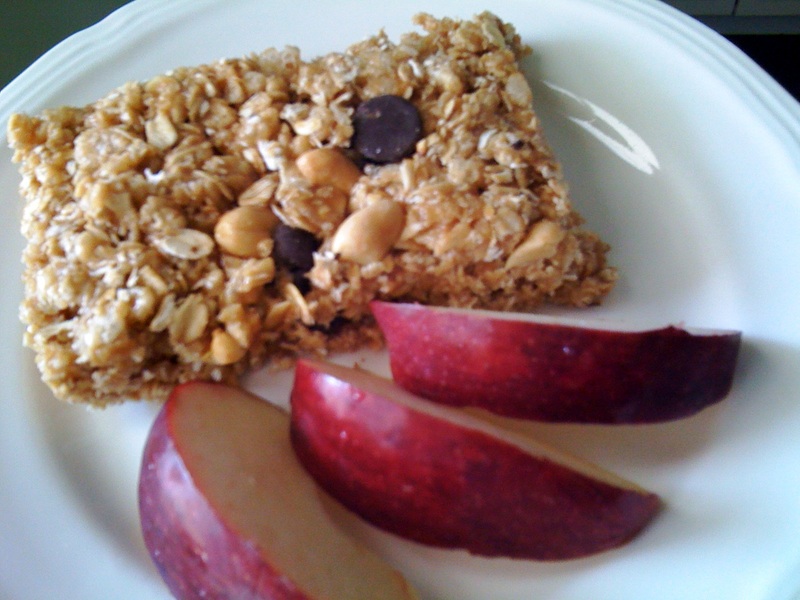 Our no-bake granola bars are great for breakfast on the go or as an after-school snack. Sometimes, when we’re in the mood for cereal, we don’t have the time to eat it in the traditional manner. That’s when this super-quick recipe comes in handy. Not only does it satisfy cereal cravings with a blend of oatmeal and Rice Krispies®, but it is also hearty and the combination of peanuts and peanut butter delivers tons of protein to start the day off right. This recipe is so easy, it is perfect to prepare with the kiddies too! Combine first 3 ingredients in a large bowl; set aside. Bring brown sugar and syrup to a boil in a small saucepan over medium-high heat, stirring constantly; remove from heat. Stir in peanut butter and vanilla until blended. Pour peanut butter mixture over cereal mixture, stirring until coated; let stand 10 minutes. Stir in chocolate morsels. Lightly grease a 13- x 9-inch pan with non-stick cooking spray, then press mixture into it; cool in pan on a wire rack. Cut into bars.